Racing wrapped up at the America’s Cup World Series this afternoon in Newport, with the Match Racing finals and the Grand Finale fleet race. Coutts’ win over Spithill in the Match Racing finals made Artemis Racing’s title official and Artemis was crowned Match Racing Champion for the 2011-2012 America’s Cup World Series at this evening’s prizegiving. An important milestone for the team, as they look ahead to the 34th America's Cup, the ultimate match race. 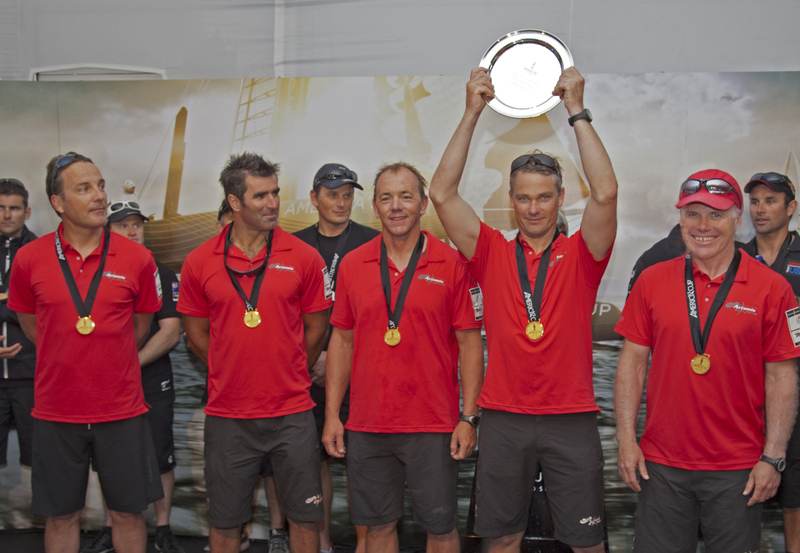 In the overall Series standings, Artemis Racing finished third with 82 points behind Emirates Team New Zealand (93 points) in second place and winners ORACLE Team USA Spithill (102 points). As with all ACWS events, the race for all the points is the Super Sunday fleet race. 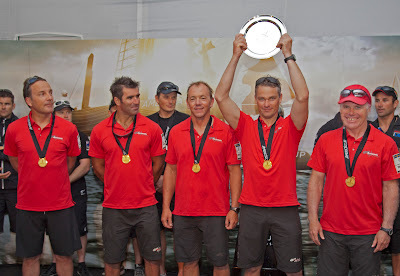 Challenging conditions today saw plenty of lead changes today, but it was Luna Rossa Piranha with Chris Draper at the helm who took the top prize. 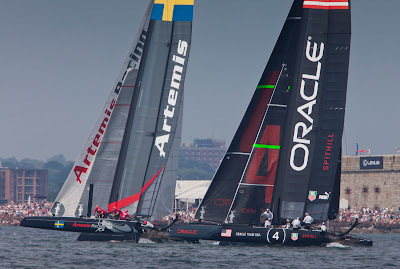 Artemis battled through the fleet but an incident at the second windward mark rounding, which later saw ORACLE Team USA Coutts penalized, dealt a tough blow to the team which was difficult to recover from. Artemis finished 7th. 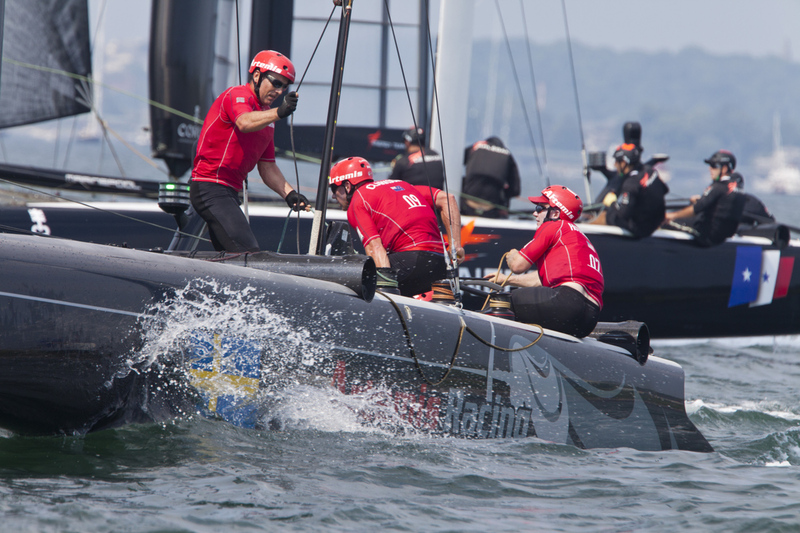 Training and preparations for the 34th America’s Cup continue for Artemis Racing, meanwhile the next event is the RC44 Sweden Cup (18-22 July) in Marstrand followed by the America’s Cup World Series in San Francisco from 21-26 August.